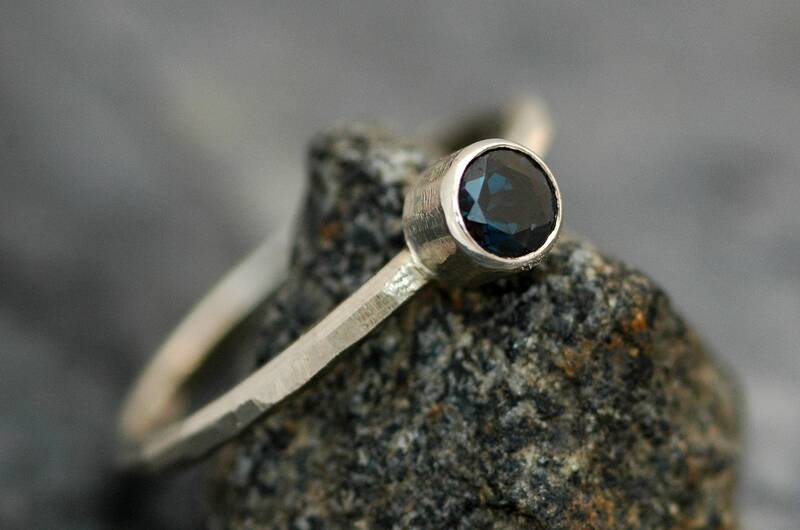 This hand-built engagement ring is ready to ship. It is a size 6. 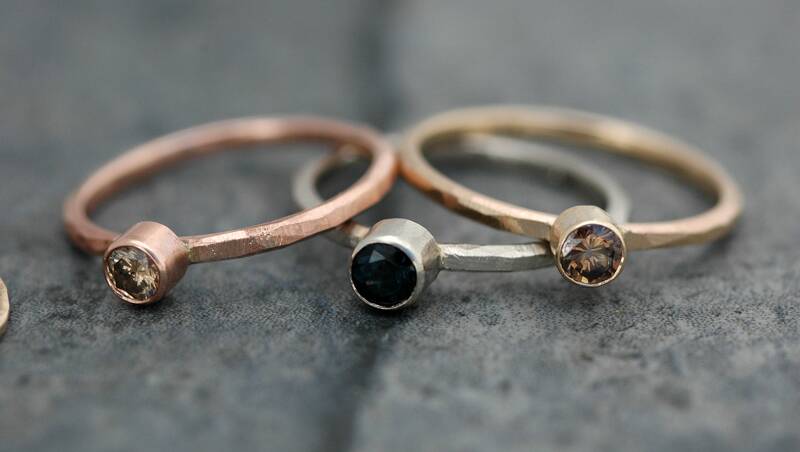 If you like the ring, but not the size or the gold/diamond colour, please get in touch- as I hand-fabricate each of my rings in my studio, any metal/stone/size/band texture is possible. 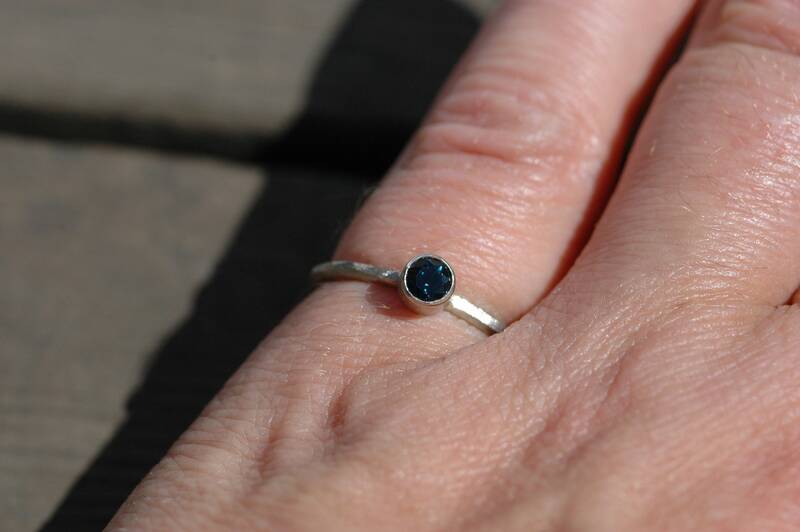 I have built this ring around a gorgeous, round, brilliant cut Tunduru blue sapphire. 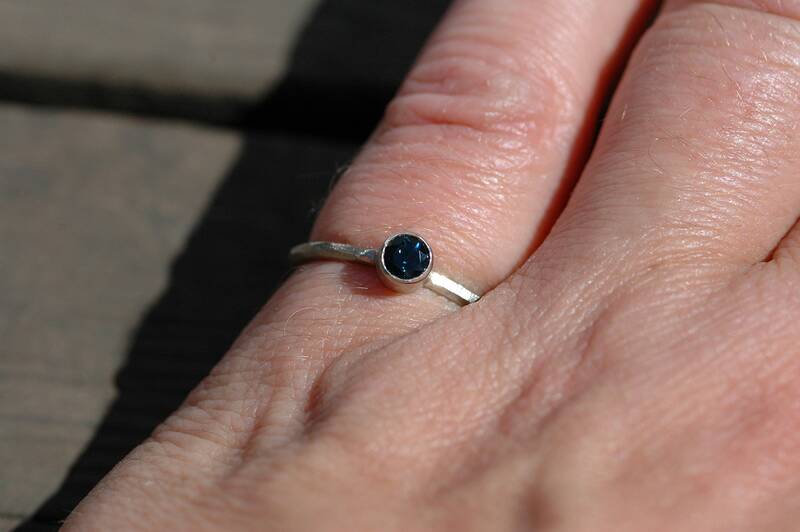 Other than Montana sapphires from the USA, these sapphires are my absolute favourites. 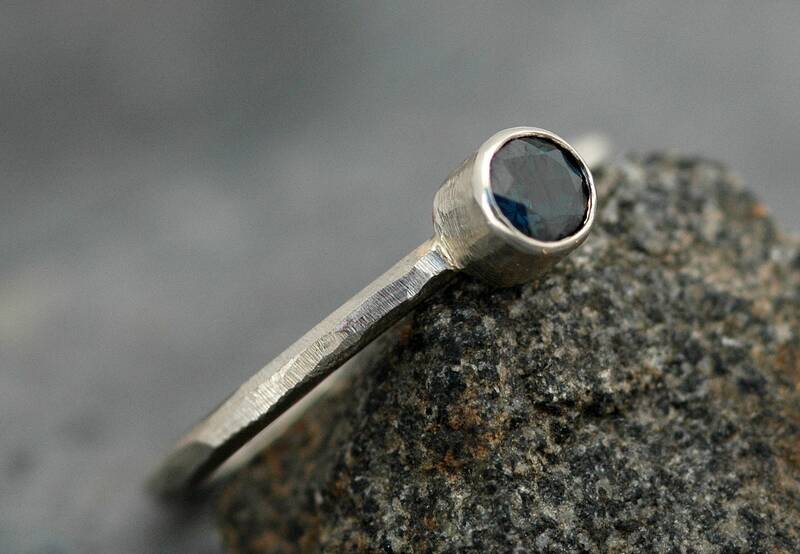 They have a gorgeous, deep indigo blue colour which shows quite a bit darker in photographs. They are from the Tunduru region of Tanzania, Africa. The stone is very nicely cut, and has no visible inclusions. 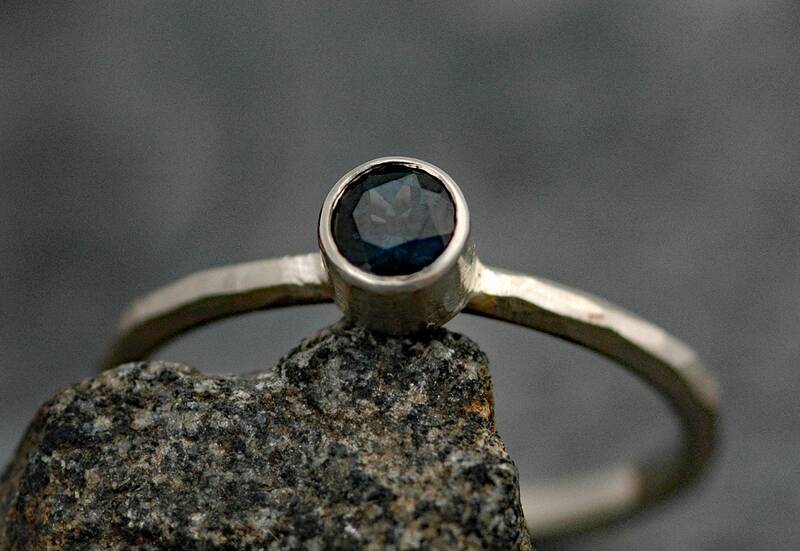 Unlike the vast majority of sapphires, these stones have not been heated to improve their colour. The band is solid, recycled 14k white gold, as is the bezel setting. 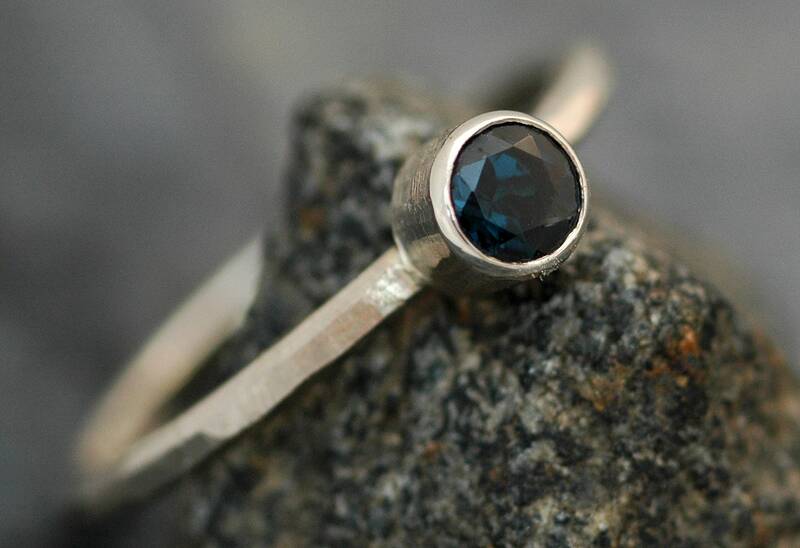 The band has been given a faceted texture- each of these facets is hand-cut by me, using a jewelers file. The bezel also has a faceted texture, with a high shine lip. 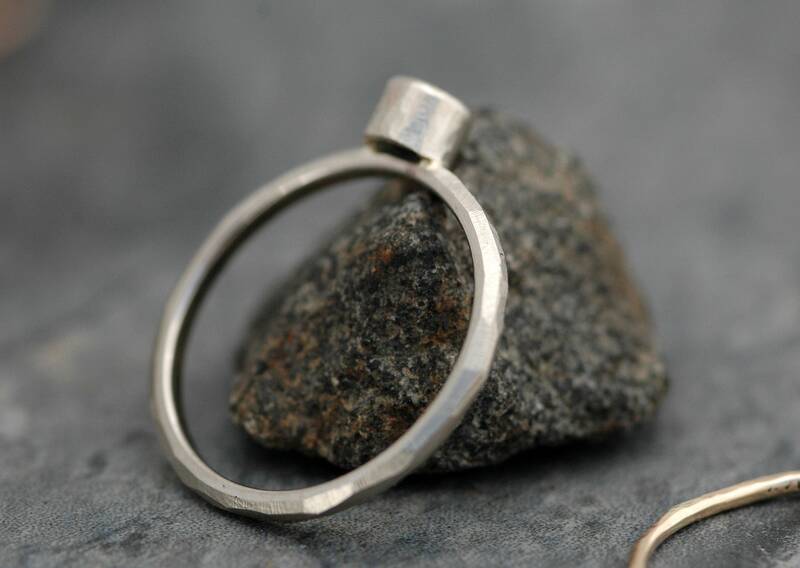 The inside of the band is polished to a high shine, to ensure a comfortable fit. This piece would make a gorgeous, unique engagement ring. 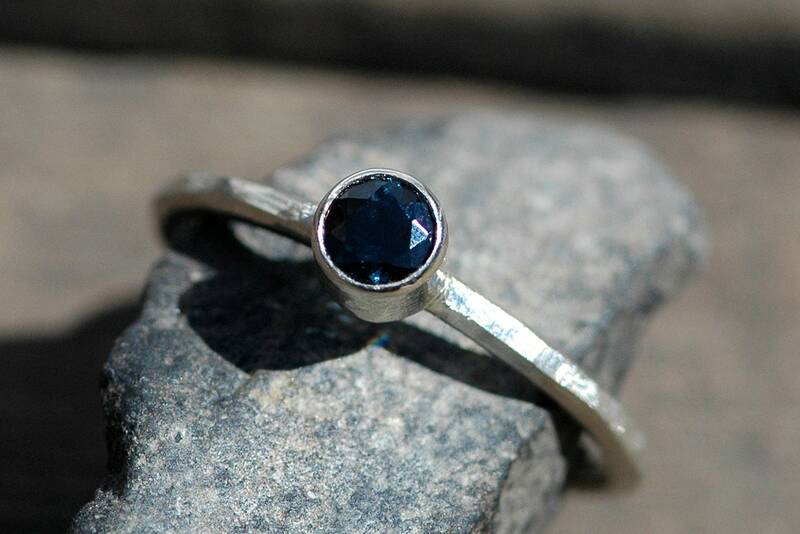 Also, sapphire is the birthstone of September.